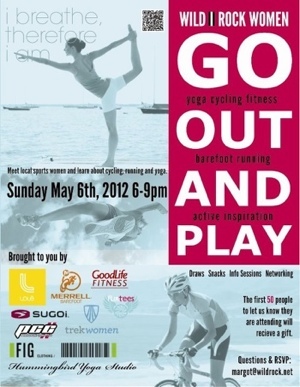 On Sunday, May 6th from 6 to 9 p.m., Wild Rock in Peterborough is hosting a special women's only event. Don't forget to RSVP, as the first 50 to do so will receive a gift. All ranges of fitness topics will be covered, from barefoot running to yoga and cycling.